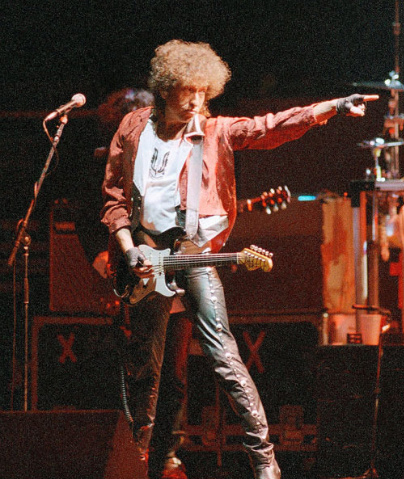 This was my first Dylan Show!!! I was standing directly in front of Dylan leaning on the stage. I remember Dave Stewart. Al Kooper, and Annie coming out to sing LARS. Most memorable was watching Howie play dobro on I Forgot More Than You’ll Ever Know About Her. In The Garden was incredible. Seen Dylan over 200 times since. 200 times! How do you pull that off? note: 13, 18-25 Dave Stewart (guitar); 21-26 Al Kooper (keyboards); 25 Annie Lenox (vocal).